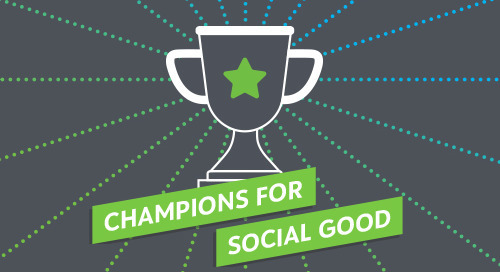 In this episode of the Champions for Social Good Podcast, we speak with Grady Lee (@GradyLee), co-founder and chair of IMPACT 2030 (@IMPACT2030) and CEO of Give2Get (@gv2gt). Impact 2030 sets out to use collaboration across public and private sectors in order to leverage employee volunteerism and ultimately advance the achievement of the Sustainable Development Goals. Grady starts off by describing the United Nations’ monumental effort to focus on 17 overarching issues and how the difference between the SDGs and the past Millennium Development Goals is the focus on collaboration. There is a great understanding that these goals cannot be achieved by one body, but instead by multiple companies and organizations putting their resources together. Grady believes one key component to future success is the measurement of human capital. By providing people with the opportunity to give back, gather resources, and connect solutions, IMPACT 2030 is tackling the SDGs through collaboration and partnership.